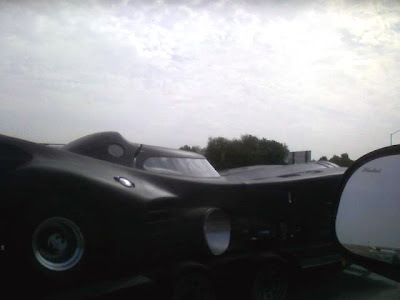 Nearly monochrome proof of the Batmobile's presence on Route 57. At least it kind of looks like the Batmobile, though I couldn't say from which era. If you squint and look in the bottom lefthand corner, you can make out the Batman insignia on the hubcap. When I was on that highway, I only saw people yelling horrible things at me.